A dynamic, hands on, transformational leader with over 20 years of experience within the global fashion and retail industry and international business development, in the UK, Europe, US and the Middle East. 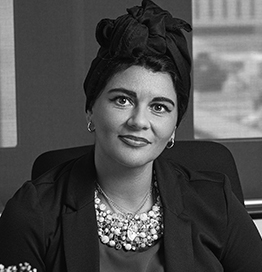 Her unique understanding of both the creative and commercial elements of a business has placed her with some of the world’s leading Department stores, Brands and Retail groups such as Harrods, Giorgio Armani Group, Coach, Karen Millen, Majid Al Futtaim and most recently as the CEO of Retail for Alyasra Fashion. Arab Women by Forbes, Middle East, 2014.
engaging her teams, delivering success and directly impacting the bottom line.